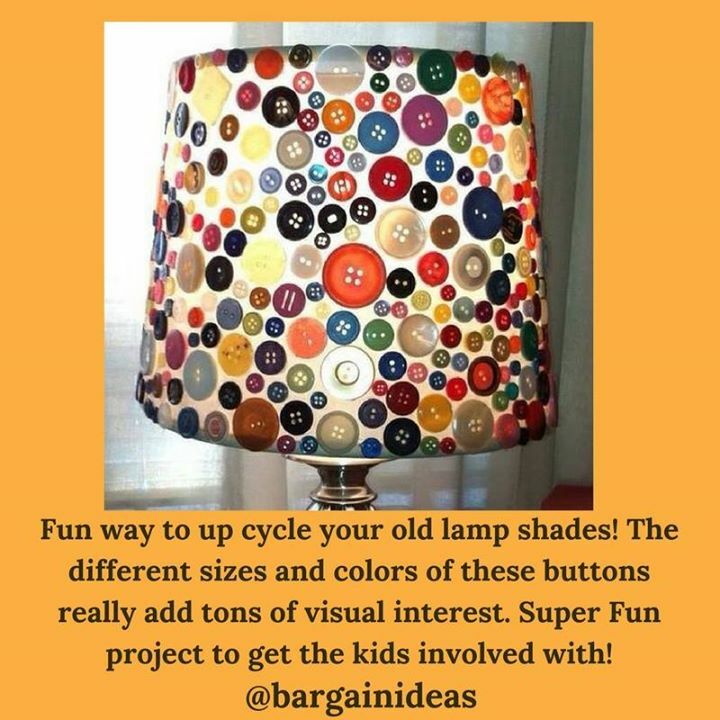 FUN WAY TO UP CYCLE YOUR OLD LAMP SHADES! THE DIFFERENT SIZE - ProudMummy.com the Web's Community for Mums. FUN WAY TO UP CYCLE YOUR OLD LAMP SHADES! THE DIFFERENT SIZES AND COLORS OF THESE BUTTONS REALLY ADD TONS OF VISUAL INTEREST. SUPER FUN PROJECT TO GET THE KIDS INVOLVED WITH!